Starting an apartment search can often feel like a daunting task, but the good news is that at Summit Riverside Apartments in Littleton, our goal is to make the entire process as easy as possible. Whether you’re looking for 1-bedroom apartments, 2-bedroom apartments, or loft apartments, you can count on us to be one of the best apartment complexes around. Chances are that you have a good idea of what you’re looking for in an apartment as you start your search, but in today’s blog, we’d like to share a few of the things we believe are the most important qualities that an apartment should have. 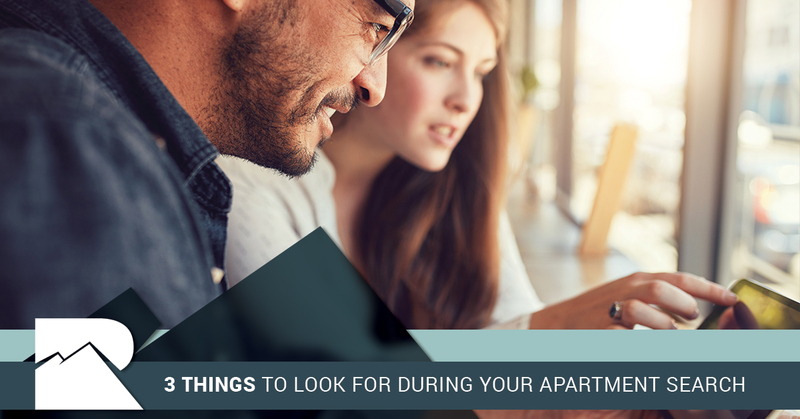 Whether you’re putting together a preliminary list of qualities that an apartment should have or you’re well into your search, we hope our suggestions are helpful. Keep reading to learn more! Location is, of course, one of the things that people should think about first and foremost when they are considering which apartment to live in. For some, close proximity to their job is of the utmost important; for others, having a home that’s close to some of the best restaurants and nightlife in the town is key. The good news is that at Summit Riverside Apartments, our neighborhood is one of the best around. There are a number of great hiking trails, natural areas, and parks in our neck of the woods, but we’re also happy to by so close to great shopping, local gyms, and fun bars. If you’re a pet owner, you know just how important to it is find an apartments for rent that allow you to keep your cat or dog. Studies have shown time and time again that people who own pets are less stressed and generally in better health. That means that the furry friend who puts a smile on your face on a daily basis is doing everything from lowering your blood pressure to boosting your immunity to sickness. That’s a win/win no matter how you look at it. At Summit Riverside Apartments, we know the value that a pet can bring to your life. After all, there’s nothing like watching your kitten pounce on its toy or giving your pup a good belly rub. That’s why we’re proud to say that we are a pet-friendly apartment complex that offers low pet rent. We’re also close to a number of great dog parks and natural areas. We love pets around here and we’re happy to be able to offer luxury apartments that welcome your pets in with open arms (or open paws, as the case may be)! Finding rentals in Littleton that offer floor plans that actually work for people is sometimes a challenge. Perhaps you only really need a studio apartment, but all you can find is a 2-bedroom. Maybe you’re looking for an apartment with a loft space. Whatever the case may be, it’s crucial to find an apartment with a floor plan that actually suits your needs. Fortunately for you, at Summit Riverside Apartments, we have a great selection of floor plans to choose from. Each of them features central air, gas heat, a washer and dryer, dishwasher, and refrigerator, and some even include skylights and balconies. In short, no matter what you’re looking for, we probably have something that suits your needs. We pride ourselves on having a great selection of apartments for rent in Littleton and we’d love to help make sure that you find an option that works best for you. At Summit Riverside Apartments, we are proud of our luxury apartments and we hope that today’s blog has been helpful if you’re doing an apartment search. We believe that the qualities above make for a great apartment, but you should be sure to check out the other amenities we offer as well because they’re the icing on the cake! You don’t have to take our word for it in a blog. Instead, why not schedule a tour to come by and see our apartments for yourself? We think you’ll love what you see and we look forward to meeting you!